I believe you took your first steps in landscape photography in Yosemite, with a camera you purchased in California just before that trip. How old were you? Also, can you describe your first impressions of Yosemite and, how much it affected your photographic career? I was 25 years old and was about to graduate from the Royal Institute of Technology in Stockholm. Our class managed to get some sponsor money from Swedish industry for a visit to Stanford University just south of San Francisco. There, I bought my first camera and went straight for Yosemite which was familiar to me after looking through some books by Ansel Adams. When looking through the viewfinder of my new camera, I felt a fantastic connection with the landscape in front of me, something I had never experienced before. Even to this day I get the same feeling, and my camera works like an interface between myself and Mother Nature. Having studied mechanical engineering, do you find that this has helped your photography in any way? Actually, I think so. I have never had any problems with technical issues. Film processing, post processing and so on have always been fairly easy for me to deal with. I believe you made some slideshows for Swedish TV in the mid 80s, can you tell us a bit more about this? I made eight short slideshows for Swedish TV. The first one was from the winter coast of Sweden; then I made one on Death Valley and one on Yosemite, which I visited again in 1984, and this was my first step towards becoming a professional photographer. In 1990 you quit your engineering job and started working as a professional photographer. What are the pros and cons you come against on a daily basis and what advice would you give to other photographers who wish to turn pro? I must say that in 1990 it was a lot easier than today. I had slowly built up my business over a period of six years on the side of my work as an engineer. When I finally took the decisive step to become a full time professional photographer, it was not that big a step. In 1990 there was a great need for nature images from photo agencies and I joined several of them. The stock business kept me going for many years onwards. I travelled all over the planet shooting wild landscapes and sent my images from the trips to the agencies. It paid off quite well until about 2008 when the photo agency business literally collapsed. My sales dropped about 95% in one year. Now I don’t count on any income from image agencies anymore. There is the same problem with photo magazines. They don’t pay contributing photographers anymore. Everybody in the production chain is getting paid except the photographers. When young photographers want to get advice from me how to survive, I simply cannot come up with any good advice anymore. Of course, you can always run some workshops or sell prints, but those markets are also becoming saturated. The only advice I can now give is to find a part time job; you will have some guaranteed income and develop your photo business gradually at least. Were there any photographers that influenced your photographic style and your career? My early influences came from North America. It began with Ansel Adams and then I started to look at the work of David Muench. Later I discovered Eliot Porter whose intimate landscapes really moved me. Today I get most of my inspiration from fellow Scandinavian photographers. Unfortunately, I have to say most of the landscape photography I see on the internet is way too artificial for my taste. Maybe I am getting too old to appreciate HDR-images and one minute daylight exposures of water. For me those techniques are effects rather than expressions. I also have problems with all the ridiculously oversaturated images I find on the internet. Who would appreciate an oversaturated human face? With nature, however, there seems to be no limit. I think this is an effect of an urge by many to make nature more beautiful than it actually is. In 1994 you visited Patagonia for the first time. Can you tell us about this superb experience? Have you been to Patagonia since? The trip to Patagonia was a dream come true. As a teenager I saw a British TV-film about an expedition over Hielo Sur, the great southern icecap. I remember the silhouette of Mt. Fitzroy which made a deep impression on me. To see Fitzroy with my own eyes at sunrise, coloured in red alpen glow, is still probably the strongest travel experience I have ever had. I also liked Torres del Paine very much. Sadly, I have never returned there, and will probably never do so. There are enough images shot there already. One year later, in 1995 you visited Costa Rica, what were your impressions from that trip? I went to Costa Rica to photograph rainforests and trees. Most photographers go there for the wildlife. I found it very difficult to cope with the hard and contrasting light in the rainforest and I did not get so many good images. In 1995 you also published your first book, how easy was it to publish and distribute it, and how successful was it? My first book was on the lifecycle of water and was called “And the Sea Never Rests”. It was printed in both a Swedish and an English edition. The text was written by the late Rolf Edberg who did a very good job. As is the case with many books coming from our part of the world it did not sell many copies. From 1996 to 1998 you visited many places around the world. Amongst those places were Australia, the USA, Greenland, the Dolomites, Namibia and Tanzania. Can you give us a summary of these adventures? I started on two more book projects, one on the forests of the earth and one on the crust of the earth. I got to see many nice places on our planet. As the image agency business was still running OK, I was even decently paid doing this. Gradually, I fell in love with the north and the Arctic, and this is more or less where I am today. In 1998 you published “On the Forests of the Earth”, your second book. By now I assume you were more experienced with book publications. However, was the second book more successful than the first one? I did not sell many copies of that book either, unfortunately. The lesson I learned was, when you have an idea for a book, make sure it will be published by a well-organised publisher. Good distribution is very important if you want to become successful. None of my early books were well-distributed. In 1999 you were involved in an Arctic expedition through the North West Passage. Can you share this adventure with us? It was a fantastic adventure. I spent six weeks on a huge icebreaker and travelled through remote waters. The northernmost destination was Ellef Ringnes island, which was the location of the Magnetic North Pole in 1999. The landscape up there was very special. It was an arctic desert with hardly any snow, even sand dunes existed there. I especially enjoyed flying in a helicopter over the area. Another fantastic experience was navigating through M’Clure Strait. The multi-year ice formations were out of this world and I exposed 110 rolls of film on just ice formations. We were the first vessel in history to traverse through this channel. This was due to extreme and almost impenetrable ice. Today you can paddle through these waters with a canoe. All multi-year ice is gone, melted away due to global warming. Would you describe your love for photography as passion or obsession? I would describe it as a passion rather than an obsession. I am not the kind of photographer who has a camera hanging on my shoulder all the time. I work when I decide to work and relax in the meanwhile. Canon’s International Wall Calendar in 1999, can you tell us a few words about this? also opened the door to Canon; I used their cameras until 2012. You were in New Zealand in 2000. Now, this sounds like the trip of a lifetime. Did you visit the photogenic South Island and can you share the best story from that trip? I went to New Zealand to photograph volcanoes. Therefore, I concentrated my trip on North Island. I really enjoyed my stay there. I hiked a lot in the Tongariro area. I even destroyed my Linhof camera in the Red Crater on the Tongariro Trail. The most spectacular place was the active volcano, White Island. It was like watching the birth of our planet, with steaming fumaroles and the smell of sulphur. Very interesting, but a bit scary though. Four years after your second book was published, we saw your third book on the shelves, “The Eighth Day”. What was this book about and, was it more successful in sales than the other two? "Den Åttonde Dagen" in English “The Eighth Day" was the result of 10 years of travelling around the globe. The images referred to evolution. Everything from rock formations to rainforests. The printing was excellent. Unfortunately the publisher went bankrupt and the books ended up in a storage house. For that reason there was no real launch of the book and of course, no response. I have gradually sold all the books, but I think it deserved a second print run. As you can tell, I have not been so successful with my books. In 2008 you were the winner of Hasselblad Master Award. I really wish to know more about this picture. I had more or less stopped participating in photo competitions at the time, but gave this a shot and I won it. It opened the digital doors to Hasselblad and I was loaned camera equipment for one year. After that year I was offered the chance to buy it at a very attractive price. Shooting medium format is still my first choice. Medium format files are more "elastic" than the files from Canon and Nikon cameras. You can do more things with the files without getting noise problems. The immediate feeling is that the files have more volume than 35mm files. It is similar to comparing 35mm film with large format film. In 2009 you had a slide show and exhibition at the Kennedy Space Centre and Orlando in accordance with Hasselblad’s celebration of the 40 year anniversary of the moon landing. Tell us a few more things on this. I was asked if I could do a slideshow and also exhibit some of my aerial images. I said yes, of course. Next to my slideshow, Buzz Aldrin was talking about the first moon landing. What a fantastic character! He gave me his book, “Magnificent Desolation”, and signed it. His father came from Sweden and he still had feelings for our country. Before the takeoff with Apollo 11 he went into a camera shop and bought a regular Hasselblad 500C with an 80mm lens. With this camera he took the first classic pictures from the surface of the moon including his own footprint in the sand. In 2010 you photographed the eruption of Eyjafjallajökull in Iceland. Did you happen to be there or did you visit Iceland with this in mind? I wanted to get there as soon as the eruption started. However, I was stuck with my tax declaration. When I was finally ready, I could not get a flight; I had to rebook my ticket seven times before I could get there. When I managed to get there, the eruption had been going on for two weeks and was not as powerful as it was during the first days; it was still impressive though. The third day I managed to find a pilot who could take me up in an aeroplane to shoot some aerial photographs of the crater and the ash plume; that was quite an exciting experience. In 2012 we saw your fourth published book. Can you tell us a few things about it? Also, are all your books available for purchase today? My fourth book "Året Runt" or in English “Annual Circle" is about the four seasons of the Swedish landscape and it has become quite successful. It was chosen by the Swedish WWF as their number one book on nature and I also received a diploma from the King. This book is still available whereas all my other books are sold out. You travel at least once a year to Iceland lately. Can you explain the attraction? Iceland has become my second home. I have been there about twenty times and, over the years, I have made many friends there. Iceland has more interesting landscapes than any other place I have visited. It is not at all about iconic waterfalls and mountains. It is about everything else: small places, plants, seashore, rocks, creeks, caves, vents, atmosphere, moods etc. Way too many photographers are going to the same places they have seen on postcards and in books, instead of exploring the island with their own eyes. 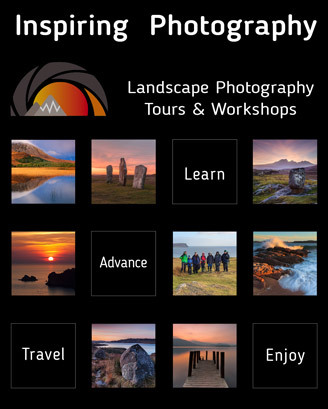 I have noticed that the number of visiting photographers has multiplied since I started going there. I am afraid that the island is becoming as crowded with icon hunters as the South West U.S. I believe you now enjoy aerial photography. How did it all start and what is the fascination? I first discovered a book with aerial photographs by a German photographer named Klaus Francke in 1995. I was really impressed by the book and in 2000 I tried aerial photography myself for the first time. Since then, I have spent around seventy hours up in the sky over Iceland. Shooting aerials is very intense. After a good flight I can land with more than 400 exposures. Of course, not all of them are great but still many are good. This year’s aerial shoot from a helicopter with my workshop participants was exceptional. You don’t only photograph grand vistas, you also love intimate and close-up photography. 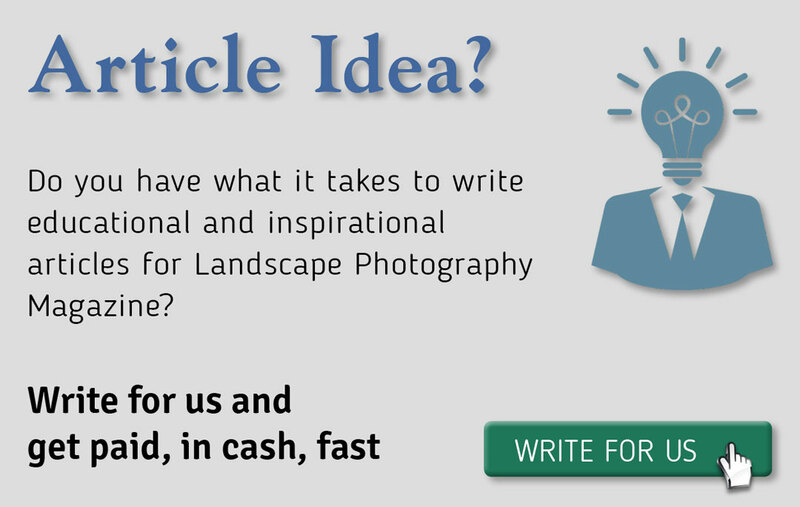 Do you have any secrets to share with our readers on finding and composing intimate landscapes? I find small intimate landscapes generally more interesting than grand views. It is all about the art of seeing. Anybody is able to see that the Grand Canyon is spectacular, but to discover the small wonders around our feet requires a lot of concentration. The American photographer Eliot Porter was, and still is, the grand master in this field of photography. Amazingly, very few now living Americans have taken over his legacy; instead, they go for the opposite, grand landscapes in spectacular light situations and not too seldomly with way too much colour saturation. If you had to choose a different genre in photography besides landscapes, what would you choose? I enjoy architecture photography as well as street photography. My number one inspiration is still Henri Cartier-Bresson. If you could turn back time, what advice would you give to a younger Hans about photography? Interesting, but difficult to answer. I am pretty happy with the way I have evolved. Even if I was able to give myself advice, I would most likely not be able to use it without gained experience. How do you see your photographic future? I hope to be able to do this for another 15 - 20 years. Everything has to do with health. I have a few back injuries which are constantly causing me problems. I hope these problems will not get worse. I also hope that users will start to pay for imagery again. Right now we are in a non-paying zone.